Celebrate a day at the sea! Enjoy a trip along the bay on a private boat and admire the beautiful bay while basking in the sun. If you wish, you can make a brief stop to swim in the warm waters of the pacific. 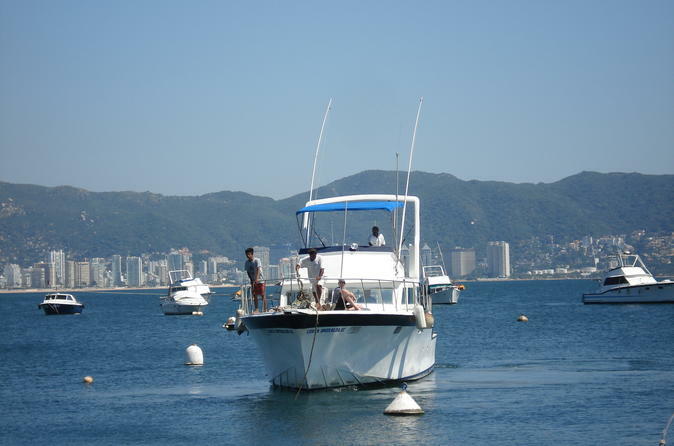 You'll be picked up from your hotel and taken to the pier to board your boat. You will enjoy sailing across the sea and admiring the wonderful views. You can make an optional stop to swim and have some fun. You can bring your own food and drinks to enjoy while at sea. After a great time, you will be taken back to the pier to board a vehicle and be taken back to your hotel.